So while perusing the internets I came across some information about Ab-Soul, one of the artists signed to T.D.E. and member of this 'Black Hippy' collective and apparently he is upset by the fact they are often being billed as id they are members of a backing band for Kendrick Lamar. This has been a problem since there have been groups. Unfortunately Ab Soul needs to just take the ride and enjoy it and use the work that Kendrick has put in to his advantage and use that affiliation to make other people give him a shot. See, sometimes when you become affiliated and one guy is either A. That much better than everyone else, or B. that much more marketable and possibly charismatic, then you have to play your position. Let's look at the St. Lunatics, while they have all done something solo, they understood the best chance at success was to put efforts behind the most unique one of them, Nelly. While none of them had close to his success, they were able to eat and live based off of Country Grammar, the follow-up features, and the St. Lunatic solo album which allowed them to have some part of an independent career and be something rather than try and force their hands and end up being tossed to the side because they don't stand out. 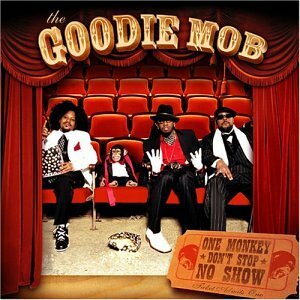 Take Goodie Mob as another example and they kind of went in the other direction as Cee-Lo went off and did his own highly successful thing, they showed some resentment, just look at the title of "One Monkey Don't Stop no Show". Did this help the group, not really, even though without Cee-lo they still maintained a core contingent who followed them, the success of their former member forced them into the shadows and even their reunion this year didn't feel the same. R and B groups have long had these issues and what happens is the people who don't 'get down' with the stars usually just fall off of the map. There are reasons why a certain person is the one the public clamors for. Most of the time, they have something the others are obviously lacking. Jadakiss had a trademark flow and was the 'better' lyricist of the LOX. That's normal. Eminem, had the advantage of being both white, and the nicest rapper in d12 by far. As an artist it's a bit hard to kind of get humbled to the point you can accept you are not going to be the star you dreamt of and to take advantage of what you can get and build your following. It's not Kendrick's fault, it's the media and you would only be punishing yourself by removing yourself from the situation where you can get exposure just by standing next to him if you are Ab-Soul. This is why people want to be signed and affiliated with other rappers and their labels/collectives. I'm sure Stalley and Wale have no problem with being mentioned well after Rick Ross as just members of M.M.G. . Ultimately, this will be an unfruitful effort and reeks of bitterness on the part of Ab. Hopefully they talk it over and he thinks better of ending his affiliation.